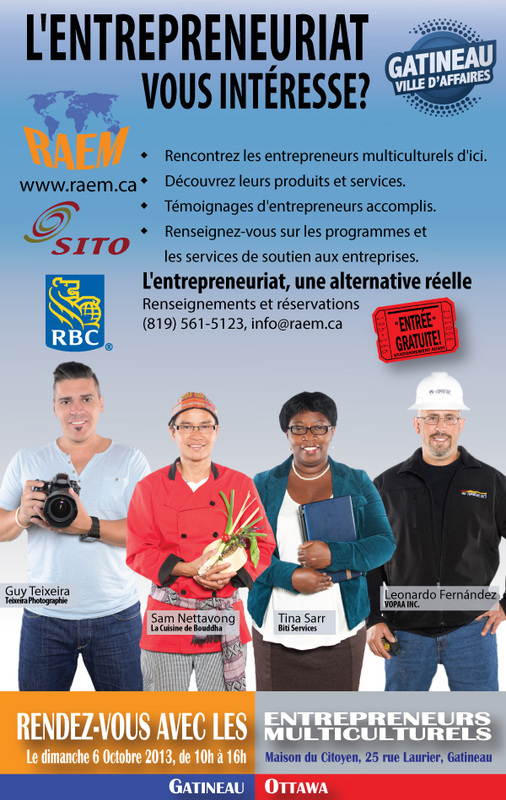 RAEM or stands for Rendez-vous with Multicultural Entrepreneurs and it is a regular event in Gatineau. 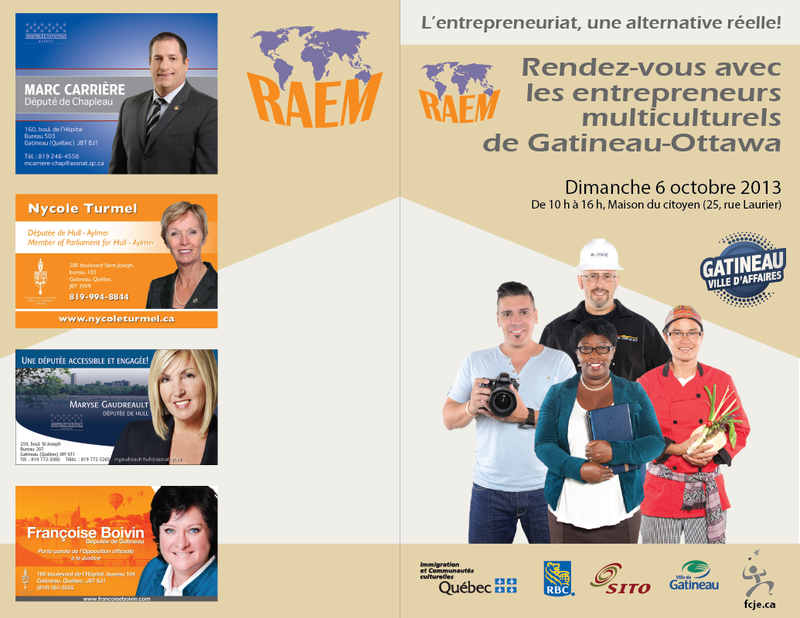 I joined the organising commitee of the RAEM in 2013. 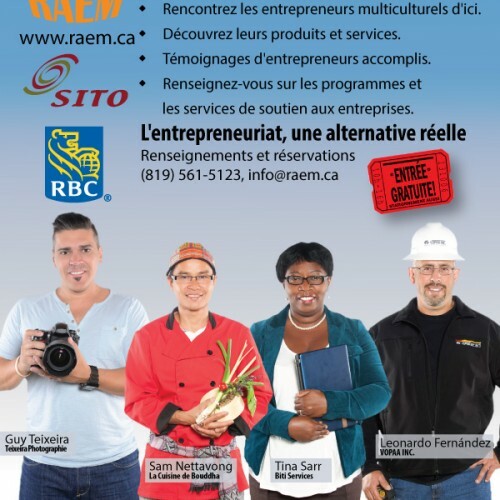 I have taken care of all the web needs, including choosing / registering the domain (raem.ca), registering paypal, creating the tri-lingual website and all the printing needs. We take proud in servicing out clients to the highest standards. I'm working with you as if you were my friend, my boss, and my client at the same time. 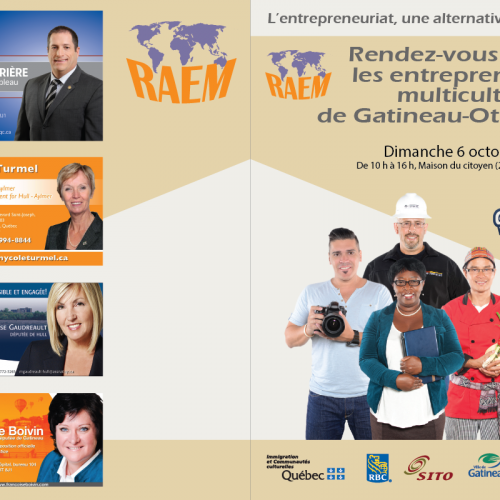 I live in the beautiful area north of Ottawa and Gatineau. Often I can visit your location or meet you in either city. But I already had great experience working even with some customers away of the area, be it Nova Scotia, US, or Europe. It was my first time working with website developers and can honestly say that the knowledge, integrity and communication skills demonstrated by Roman have been a guidance and helpful toward my goals. To my delight and surprise, he is so quick to understand the project requirements that it seems as if I am working with a colleague rather than another business. Great software developer; easy to deal with, does what you like and want. He converts your thoughts to facts. We had a great experience with him. We were very impressed with the outcome. Highly recommended!